Michael Carrick has rubbished suggestions Manchester United players are not trying hard enough to improve the team's form. 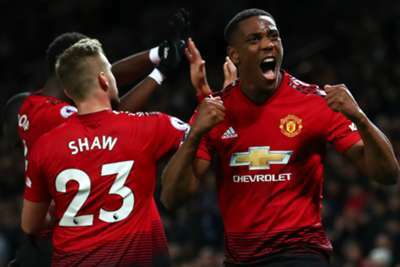 That victory followed some significant criticism of Jose Mourinho's men, including from former stars Rio Ferdinand and Paul Scholes, both of whom accused the United players of not giving their all. "As a player at United the expectation is there, the scrutiny is there and nowadays every little move you make people jump on it and judge it," he told Sky Sports' In The Pink podcast. "The lads are human beings who make mistakes. It's too easy to throw out a player is not trying. It's definitely not the case." "I support the manager, basically," he said. "I get in about 8.15am to help plan the session for that day and plan ahead for the next game. Whatever the manager needs, I'm there to support him. Obviously, I offer suggestions when it's right but support is the biggest one, as well as learning. "He's been fantastic with me. The situation I'm in at the moment, my first job after being a player so there's a huge element of learning and trying to soak up as much as I can to improve myself. But at the same time, I'm there to do a job and there's a responsibility there. He's been great with me. He's given me plenty of things to do and at the same time he's trying to help me develop. I couldn't have asked any more of him."